Anonymous, Private, Secure, and Free. Hide your IP address and protect your online identity with SafeIP. Protect your online identity by hiding your IP from websites, email, games, and more. Encrypt all your Internet traffic with a private proxy, either browsing at home or on public WiFi hotspots. Choose the anonymous IP location closest to you for the fastest connection speeds. SafeIP can be used completely free for unlimited use, without advertisements and never expires. Selecting a location nearest to you is the best way to ensure the fastest connection speeds. From the Dashboard tab, scroll down the Select Location box on the left, to find the country and region nearest to your current location, and then double-click the location to connect. You may try using other nearby locations to see if another location is faster for you. You may also try selecting an IP location nearest to most of the websites or servers you regularly use. The program offers proxy servers based in the US, UK, Germany, Poland and France. Ultrasurf is a product of Ultrareach Internet Corporation. Originally created to help internet users in China find security and freedom online, Ultrasurf has now become one of the world’s most popular anti-censorship, pro-privacy software, with millions of people using it to bypass internet censorship and protect their online privacy. Protect your privacy online withanonymous surfing and browsing. 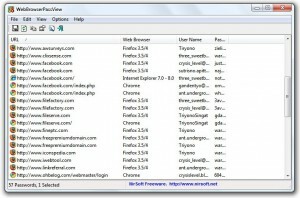 Ultrasurf hides your IP address,clears browsing history, cookies,and more. Using industry standard, strong end-to-end encryption to protectyour data transfer from beingseen by third parties. Bypass internet censorship tobrowse the internet freely. Ultrasurf is currently only available for PCs and is not supported by Mac OS or Linux operating systems.Ultrasurf only protects information relayed through the user’s web browser. Other applications, such as mail clients, Skype, and similar services are not subject to encryption.Ultrasurf is not responsible if users voluntarily divulge personally identifying information online, such as real names or contact information. We advise users to educate themselves about additional precautions they should take to protect themselves, especially when using Social Networking websites because it is vital that you protect yourself from identity theft and fraud. Two factor authentication products can drastically reduce such incidents. Encryption is between your computer and Ultrasurf proxy servers. Normal web traffic (http) is not encrypted between Ultrasurf and web servers, while secure web traffic (https) is encrypted from user’s computer to the web server. Ultrasurf relays https traffic without interception. 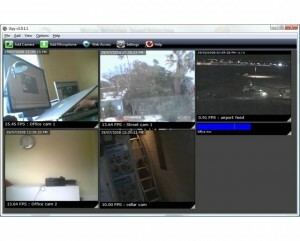 iSpy is probably the world’s most feature-rich surveillance software. Some key features are: Unlimited Cameras and Microphones (including IP and USB cameras), Motion Detection (3 types), Motion Processing (4 types), Record on Detection, Record on Schedule, Record with Audio, Remote Access, Network Audio Broadcasting (via iSpy Server), Password Protection, Desktop Recording, Automated YouTube Uploading, SMS and MMS and Email alerts… For a full feature list, please click the link below. Web Browser Pass View is a password recovery tool that reveals the passwords stored by the following Web browsers: Internet Explorer (Version 4.0 – 9.0), Mozilla Firefox (All Versions), Google Chrome, Safari, and Opera. This tool can be used to recover your lost/forgotten password of any Website, including popular Web sites, like Facebook, Yahoo, Google, and GMail, as long as the password is stored by your Web Browser. After retrieving your lost passwords, you can save them into text/html/csv/xml file, by using the ‘Save Selected Items’ option (Ctrl+S). Web Browser Pass View doesn’t require any installation process or additional DLL files. In order to start using it, simply run the executable file – Web Browser Pass View .exe After running it, the main window of Web Browser Pass View displays the list of all Web browser passwords found in your system. You can select one or more passwords and then copy the list to the clipboard (Ctrl+C) or export them into text/xml/html/csv file (Ctrl+S). 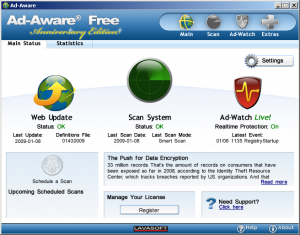 Ad-Aware Free Internet Security features real-time protection, advanced Genocode detection technology, rootkit protection, automatic updates, and much more to ensure that you have the power to protect yourself online. Extra Sensory Protection allows you to go a step beyond detecting known threats – the heuristics detection finds and blocks unknown and emerging threats and stops deceptive malware and cyber thieves before they attack your personal information. Detect and Remove Spyware, Adware and Remove Malware, Trojans, Dialers, Worms, KeyLoggers, HiJackers, Parasites, Rootkits, Rogue Security Products and many other types of threats. Light on System Resources and designed not to slow down your computer like many other anti-spyware products. Designed not to conflict with your existing anti-spyware or anti-virus solution! Repair broken Internet Connections, Desktops, Registry Editing and more with our unique Repair System. Real-Time Blocking of threats! Prevent potentially harmful software from installing or re-installing! First Chance Prevention examines over 50 critical points of your system each time your system starts up and shuts down to eliminate threats before they have a chance to infect and infiltrate your system. Schedule either Quick, Complete or Custom Scans Daily or Weekly to ensure your computer is free from harmful software. 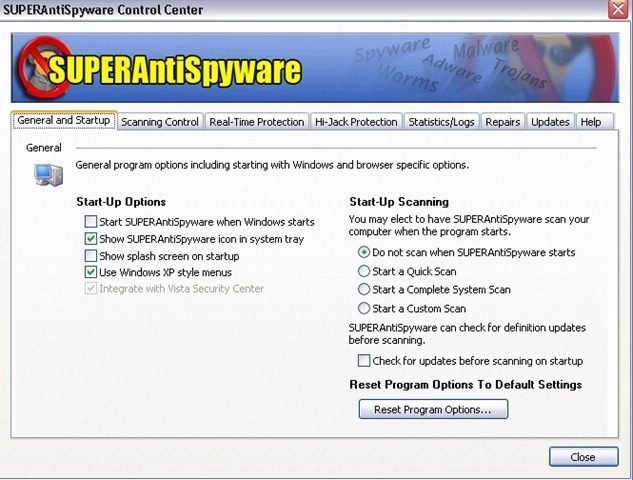 Remove spyware automatically. Detect and Remove Spyware, Adware, Malware, Trojans, Dialers, Worms, KeyLoggers, HiJackers and many other types of threats. Trust Items and Exclude Folders for complete customization of scanning. Quick, Complete and Custom Scanning of Hard Drives, Removable Drives, Memory, Registry, and More! WirelessKeyView recovers all wireless network security keys/passwords (WEP/WPA) stored in your computer by the ‘Wireless Zero Configuration’ service of Windows XP and by the ‘WLAN AutoConfig’ service of Windows Vista. It allows you to easily save all keys to text/html/xml file, or copy a single key to the clipboard. This utility is released as freeware. You are allowed to freely distribute this utility via floppy disk, CD-ROM, Internet, or in any other way, as long as you don’t charge anything for this. If you distribute this utility, you must include all files in the distribution package, without any modification ! Be aware that selling this utility as a part of a software package is not allowed. The software is provided “AS IS” without any warranty, either expressed or implied, including, but not limited to, the implied warranties of merchantability and fitness for a particular purpose. The author will not be liable for any special, incidental, consequential or indirect damages due to loss of data or any other reason. 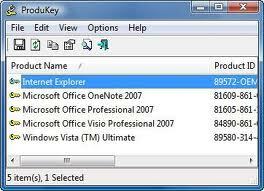 WirelessKeyView doesn’t require any installation process or additional DLL files. Just copy the executable file (WirelessKeyView.exe) to any folder you like, and run it. After you run it, the main window should displayed all WEP/WPA keys stored in your computer by Windows ‘Wireless Zero Configuration’ service. For WEP keys, the key is also displayed in Ascii form. Be aware that this utility can only reveal the network keys stored by Windows operating system. It cannot recover network keys stored by any other third-party software. Cain & Abel is a password recovery tool for Microsoft Operating Systems. It allows easy recovery of various kind of passwords by sniffing the network, cracking encrypted passwords using Dictionary, Brute-Force and Cryptanalysis attacks, recording VoIP conversations, decoding scrambled passwords, recovering wireless network keys, revealing password boxes, uncovering cached passwords and analyzing routing protocols. The program does not exploit any software vulnerabilities or bugs that could not be fixed with little effort. It covers some security aspects/weakness present in protocol’s standards, authentication methods and caching mechanisms; its main purpose is the simplified recovery of passwords and credentials from various sources, however it also ships some “non standard” utilities for Microsoft Windows users. Cain & Abel has been developed in the hope that it will be useful for network administrators, teachers, security consultants/professionals, forensic staff, security software vendors, professional penetration tester and everyone else that plans to use it for ethical reasons. The author will not help or support any illegal activity done with this program. Be warned that there is the possibility that you will cause damages and/or loss of data using this software and that in no events shall the author be liable for such damages or loss of data. Please carefully read the License Agreement included in the program before using it.